After a long day on the water already, my buddy Andy and I launched his boat with intentions of getting a night bite for trout. We didn’t really know where to go but we had identified a few spots on Navionics. The lake was alive with life. There were trout rising everywhere. We were unsuccessful with initial attempts to catch them casting so we motored to our first destination and anchored up. The wind was out of the west so we allowed enough of a tether to get us right over the spot. 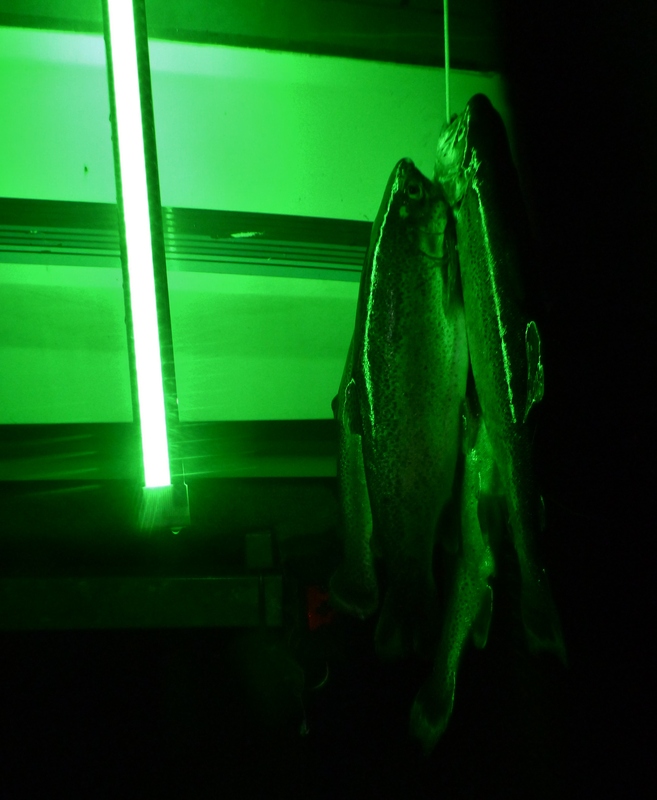 With the Hydro Glow Fishing Light submerged just below the surface of the water it was game time. The boat was set up over 22 feet of water but the swing from the wind had us swinging back and forth out over 26 FOW. 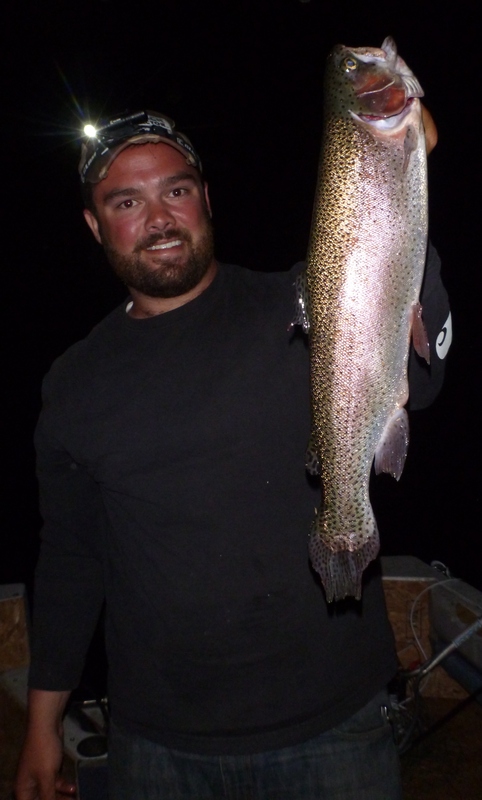 Before too long, the graph was marking fish from 10-13 feet below the boat. For the remainder of the night. Small pods of fish constantly pushed through. We fished two different set ups throughout the night. One was a 1/32 ounce jig tipped with a whole crawler and the other was a snelled hook with a small split shot a foot above with a half crawler. We made short casts and let them swing down below the boat. Once we found where the fish were biting, we tied on small pieces of floss to mark the depth so we could replicate over and over. 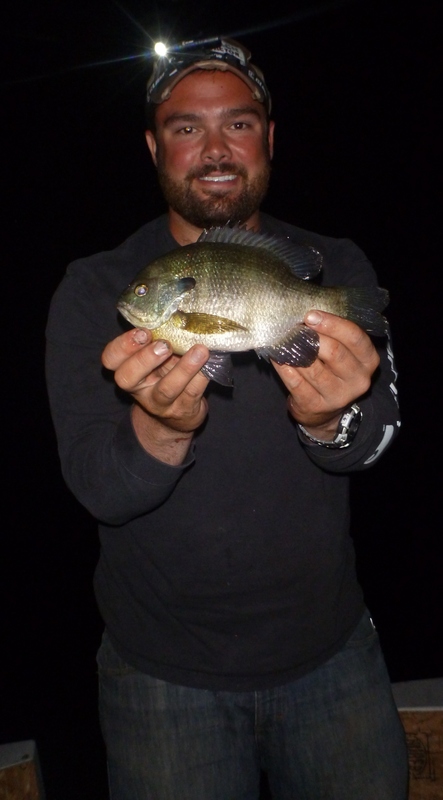 Throughout the course of the night, the smaller fish that we caught were on the snelled hook and no matter what set up was used, the fish wanted it still. The bites were light so being on the ball was key. The best method seemed to be setting the pole up so that it would move with any kind of action on the other end. The dark made it tough to see the bites and you couldn’t keep lights on because of the bugs. By midnight, not only did we have our limits but we had tossed back several more limits worth. 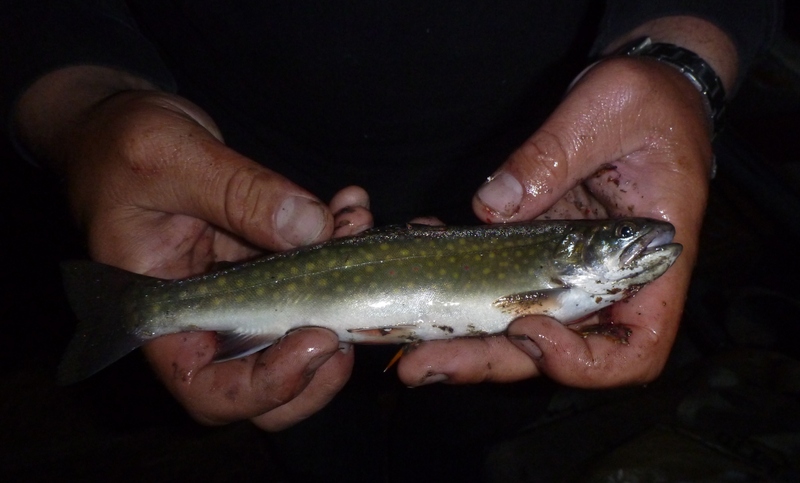 All but the bluegill and brook trout were between 13-20″. Good enough for a first outing!